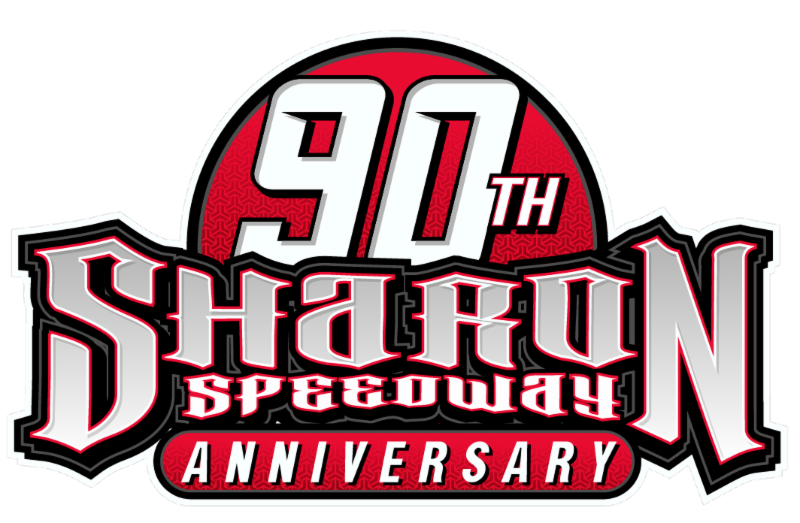 “I keep waiting for an ark to float by” were the words of Auburndale Speedway owner Rex Guy as, once again, rain canceled one full racing program and interrupted another this weekend. Saturday night the heat races were just about completed when rain hit the speedway. However, the shower lasted just a few minutes and track crews went to work drying the speedway. The extra heavy humidity caused it to take over an hour to dry the surface, but all of the features except two were run. The scheduled SSCS Modified event was not going to be run as most of the drivers opted not to take the chance to travel to the track because of the bad forecast. The Mini Cup drivers in attendance opted not to run their feature because of unsafe conditions regarding a very wet infield which could have played havoc with the small cars had they gotten into the soaked infield area. The Legend Cars, Q mini Stocks, Scramblers and Figure-8s were able to race and put on a good show for the dampened crowd. Taylor Hosford, making her very first start in a Legend Car at Auburndale, topped the heat race for the class but that put her near the rear of the feature starting line-up. Kyle Pitts grabbed the early lead and was soon challenged by teammate Seth Adams. Lap eight saw caution fly as a wheel came off the car of newcomer Booker Cothren. Just after the restart, Adams surged to the point and would lead the rest of the way slowed only by a lap 12 yellow flag for a spin by Jim Smith in turn two and the stalled car of Travis Guard on the front stretch. Adams would go on to take the victory over Pitts and veteran Mike Verhaagh. Hosford would race her way to a solid fourth place as Smith rebounded from his spin to take fifth. Sixth went to Gavin Sexton trailed by Rusty Mallett, Cale Nolen, Guard and Cothren. The Q Mini Stock drivers paid tribute to the late Randy King who a top racer at the track for several years. King’s number was 46 and several cars carried flags with the #46 on them. Chris Narramore, Sr. had a photo of King on the hood of his car as well while Donald Gatlin’s car was renumbered 46 in honor of King and carried his orange and black colors. Gatlin zipped out to an early lead and looked to be well on his way of putting the special paint job in victory lane. However, as Gatlin’s engine began to lose power it was point leader Narramore grabbing the top spot on lap 15. Narramore streaked off to a very emotional win over Bruce Cozad and heat winner John Cummins, Jr. Colt Cecil was fourth while Gatlin held on to his fading machine for fifth ahead of Fred Martin. Matt Cummins was unable to start the feature. Just three Scramblers showed up for action but they put on one heck of a great race. William Kerns led the opening 12 circuits before Keith Cantrill slipped by. Cantrill then held off repeated challenges from point leader Dustin Wilson to claim his second win of the season. Kerns would end up third claiming his tires were “tired.” Wilson won the heat race. The Figure-8 cars rounded out the night of racing and it was local favorite Preston Davis scoring a dominating win by leading every lap. Joey Caterelli claimed the runner-up spot ahead of Wayne Calkins. 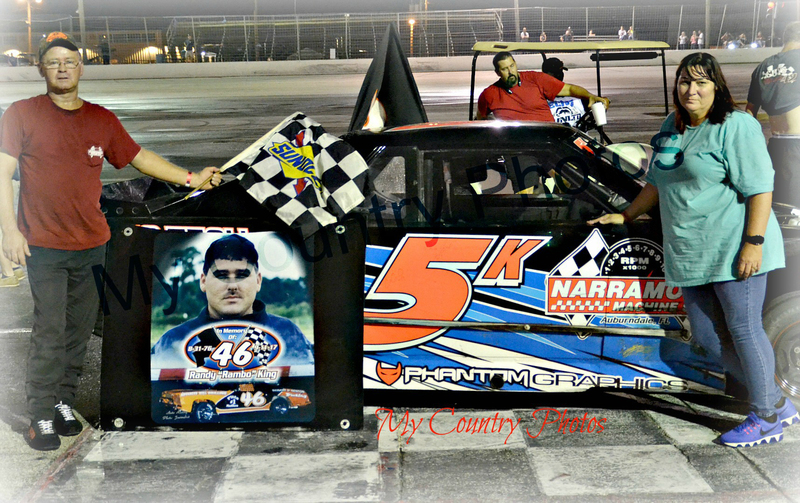 Rounding out the finishers were Shane Grigsby, Seth Nistok, Sammy Cressman, Thomas Peel and Jared Meyer. Sunday’s weather looked promising to start but a couple of brief showers set back the start of practice by over an hour. Despite some ominous looking clouds, cars kept streaming into the pits, well after the announced starting time of 4 pm. Alas, it was not to be as a downpour hit the track just before 5 pm flooding the infield. All racing activity was canceled for the evening but the entire show has been rescheduled for next Sunday, October 15th, with racing starting at 4 pm. The Daytona Antique Automobile Racing Association (DAARA) will try once again to get a show in the books after now being rained out in consecutive weeks here as well as Saturday night at Citrus County Speedway. For information and updated schedules go to www.auburndalespeedway.net or the Auburndale Speedway Facebook page.